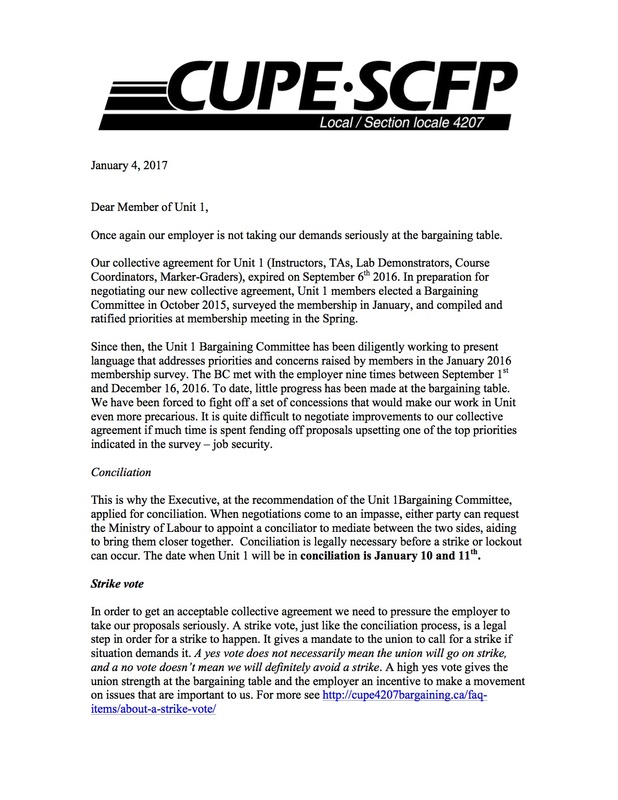 A letter to members was sent on Thursday, January 5, 2017 by Canada Post explaining the strike vote process. Click on the image to read. The local is calling for a Special General Members Meeting to discuss UNIT 1 strike vote and the results of conciliation (taking place at the Four Point Sheraton across campus on January 10th and 11th). There will be a secret ballot strike mandate vote upon adjournment of this special meeting until all attending members will have been given the chance to vote. The strike vote will continue the next day on January 19th at a table in Mackenzie Chown A hallway.